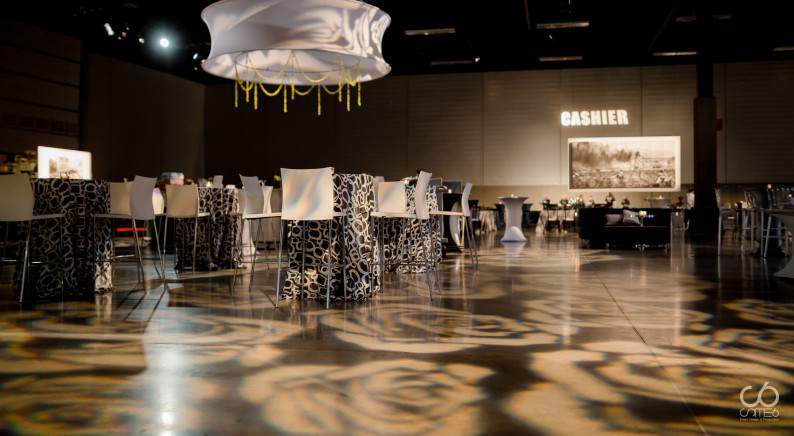 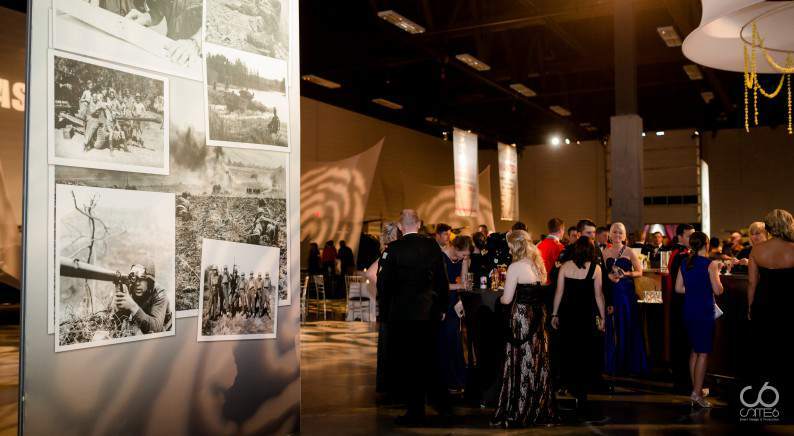 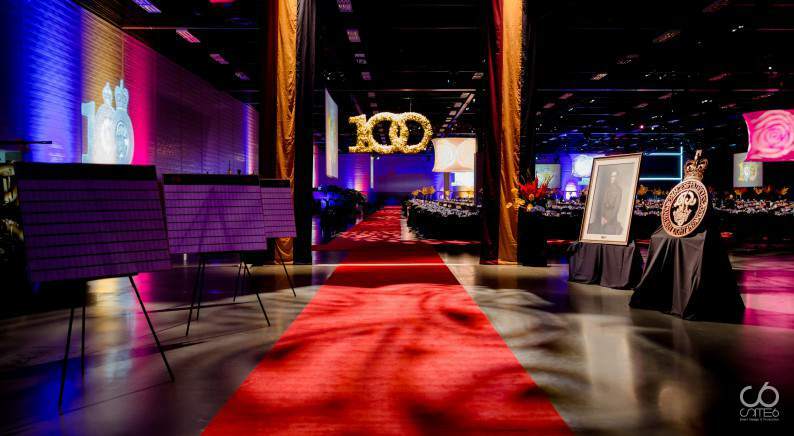 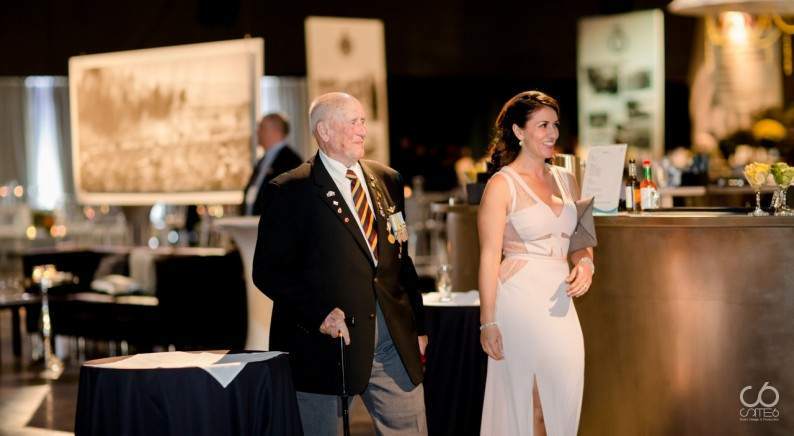 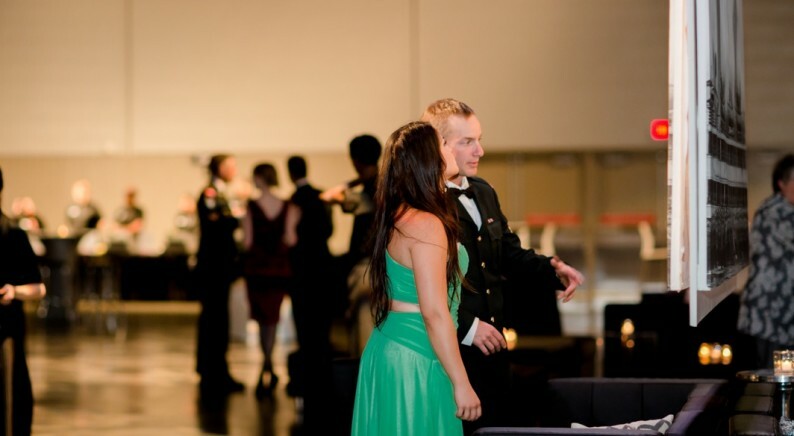 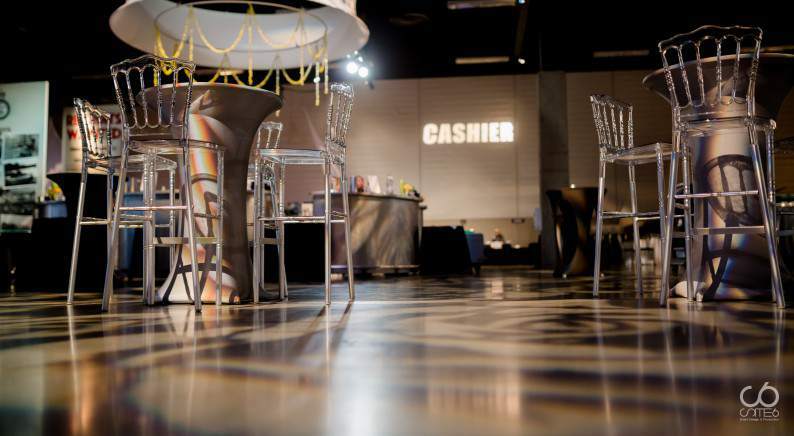 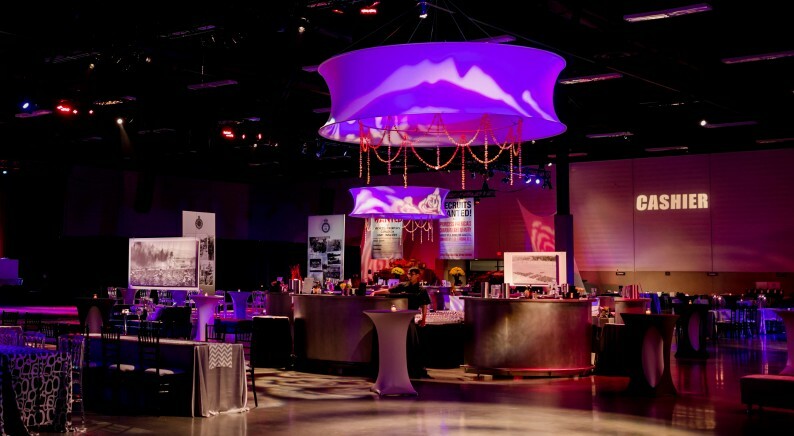 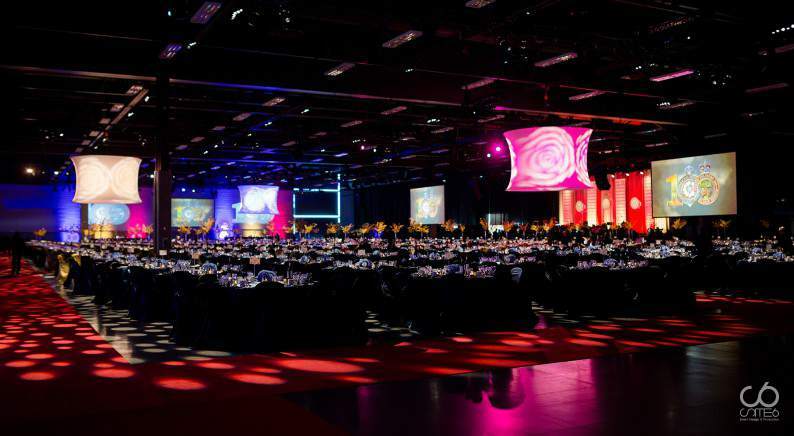 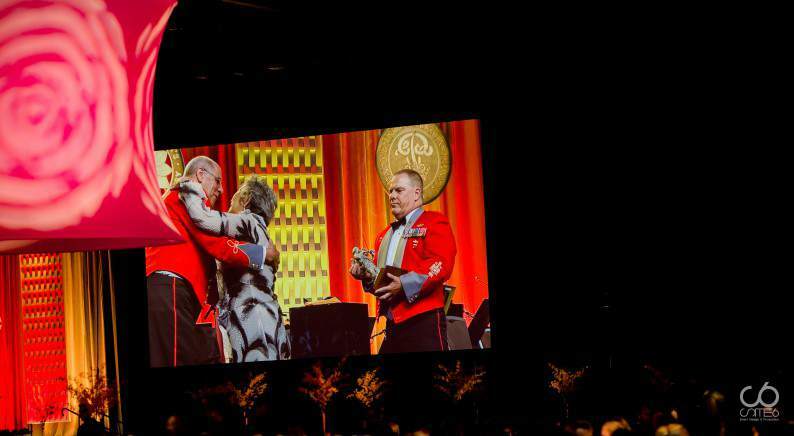 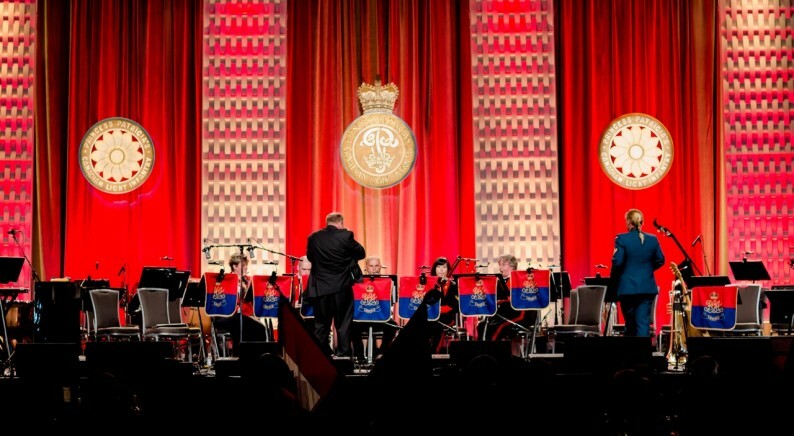 Site 6 Events was honoured with the opportunity to produce Princess Patricia Light Infantry’s most significant special event to date: the 100th Anniversary Gala Reception & Dinner taking place at the Edmonton Expo Centre on August 9th of 2014. 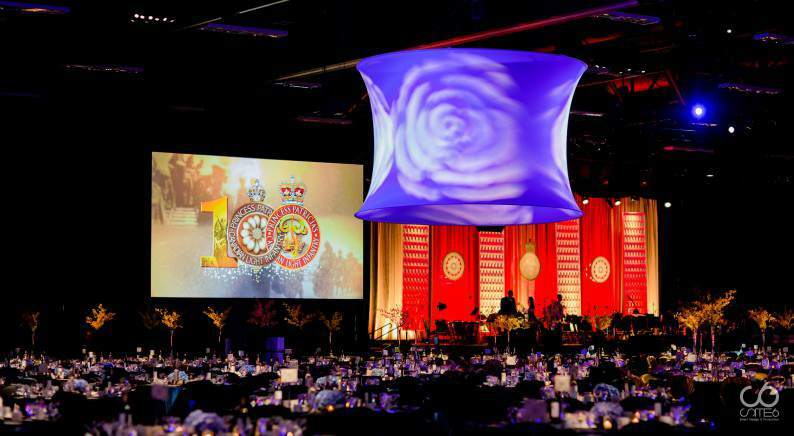 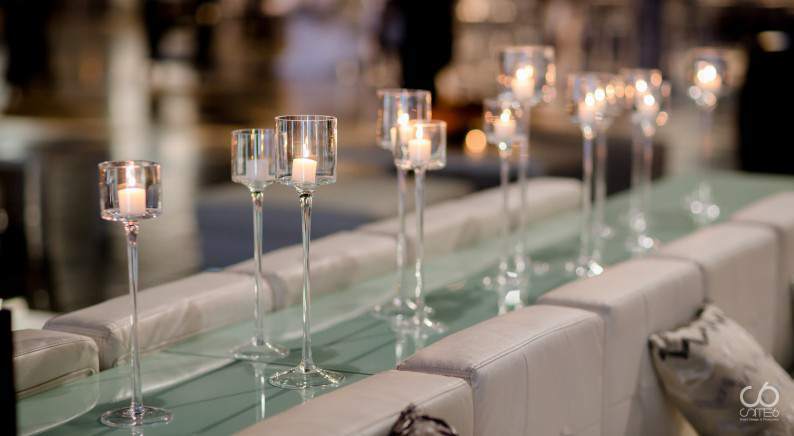 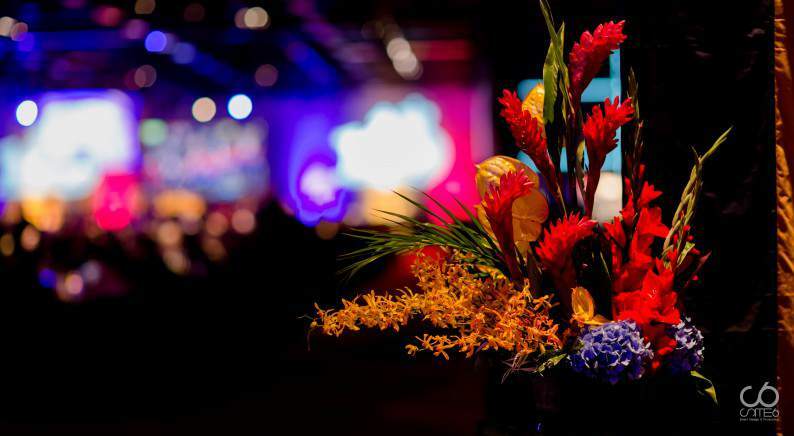 A high profile celebration for an estimated 3000 guests, this event challenged us to transform 158,446 sq. 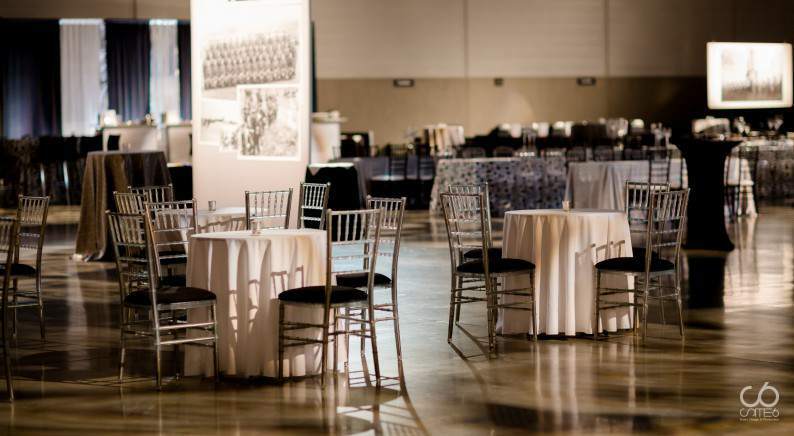 ft. of bare convention space into an elegant reception, dining and dance experience for the Patricia Family including young soldiers, veterans and highly respected VIP and VVIPs. 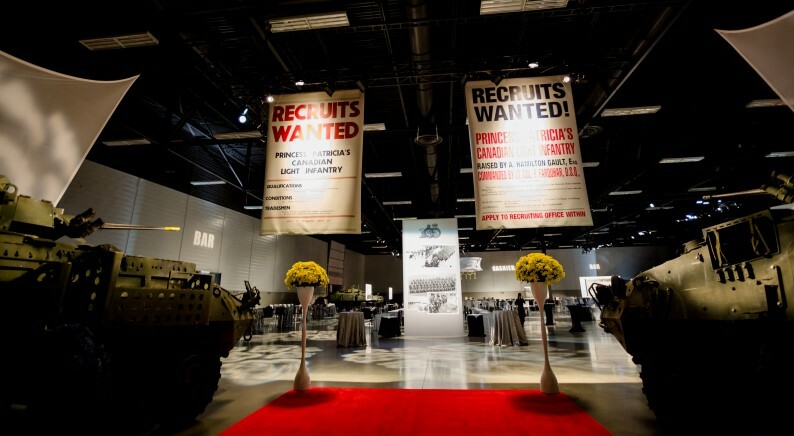 The result was a complex installation that included 1100 feet of truss, 672 light fixtures, over 10,000 ft of cable, 265 floral centerpieces, 3540 feet of red carpet, 136 art pieces and 13 military vehicles. 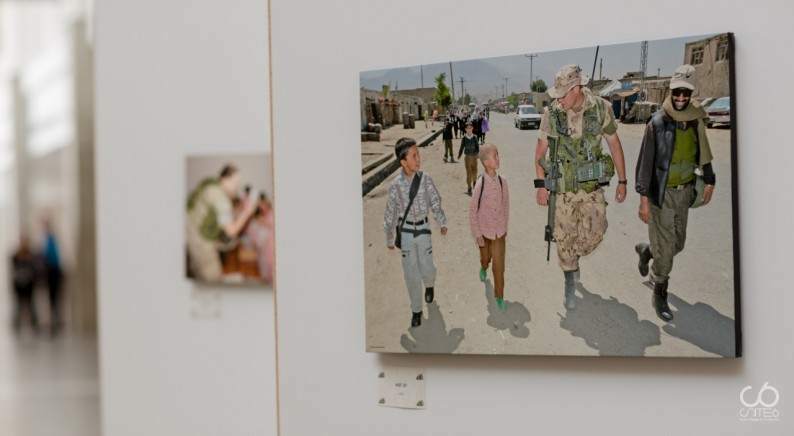 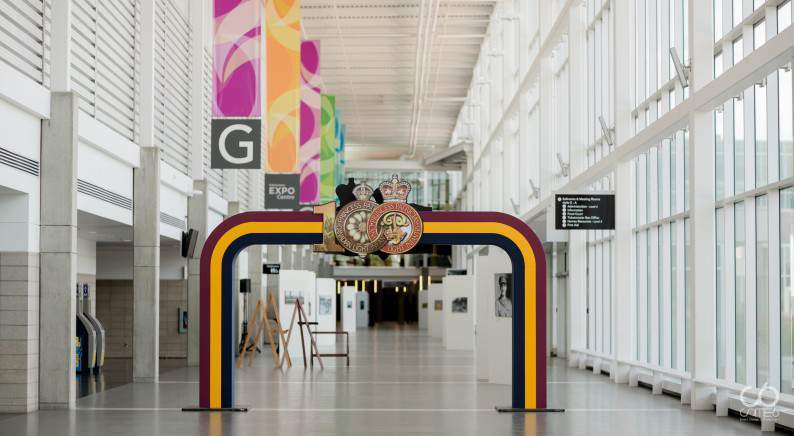 Upon arrival for the evening, guests entered the venue through a custom-made PPCLI 100th archway and had the opportunity to stroll through a modern art gallery lined with centennial artwork, historic photographs and artifacts that recognized PPCLI’s military service over the past 100 years. 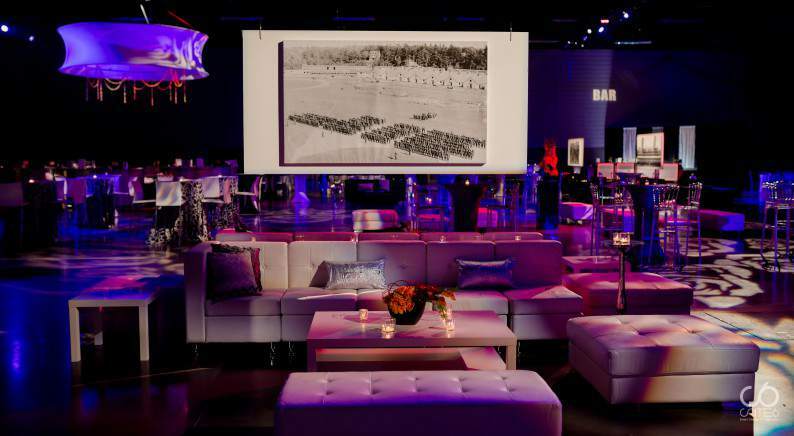 Guests then walked the red carpet into the reception room to enjoy appetizers and beverages while being emerged into a tranquil and nostalgic atmosphere accomplished by furniture, décor and lighting projections in a diffuse black, white and grey colour palette, creating the feeling of walking into a historical photograph. 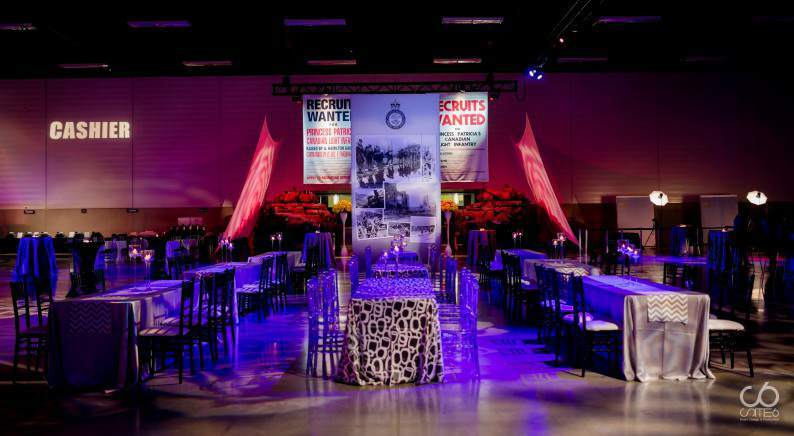 We incorporated displays of important PPCLI events and significant people by means of large printed collages with historic imagery, recruitment posters, and symbolism including logos of the battles and the marguerite flower. 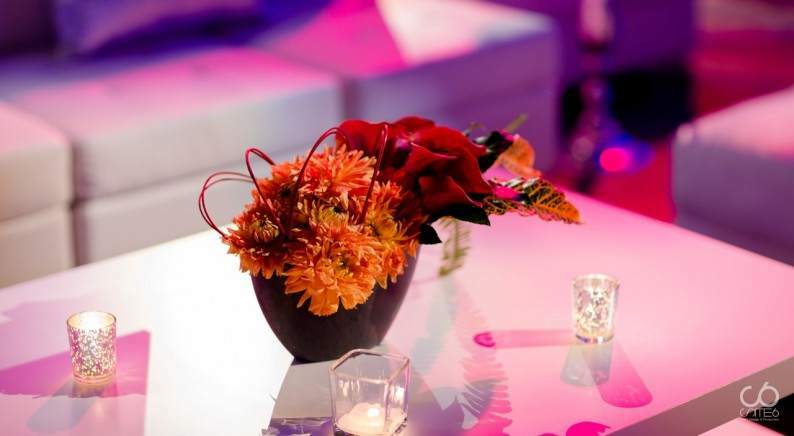 Our goal was for the only colour accent to be the yellow marguerite flower and the guests themselves being part of the design, particularly in their formal red and black mess dress, making them an integral part of the event’s “decor”. 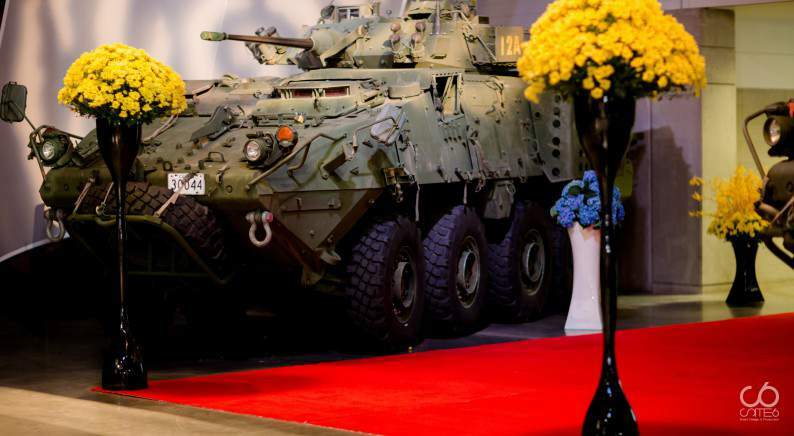 Guests filed past military artifacts and armoured vehicles to enter the dining hall designed with formal regimental colours: maroon, gold and navy blue. 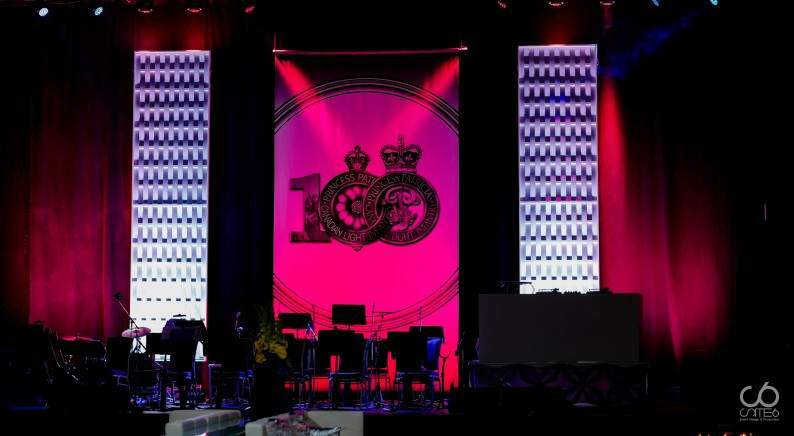 The coloured lines were arranged in three bands to reflect the design of the PPCLI bunting separated by lines of red carpet, resulting in a striking visual that complimented the formalities and protocol of the regiment. 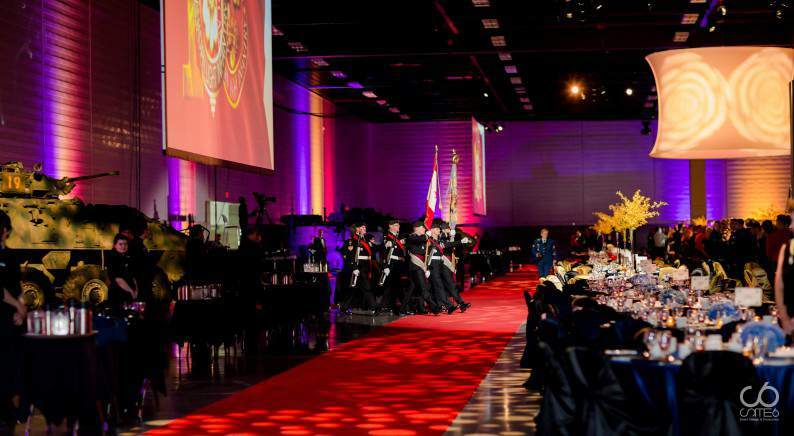 VVIP movements marked the start of the dinner further accompanied by the marching of the Colour Parties, formal speeches, several performances from the Royal Canadian Artillery Band, Edmonton Opera, Bryan Adams Tribute Video, Centennial Video and ending with an exciting black-light drumline performance. 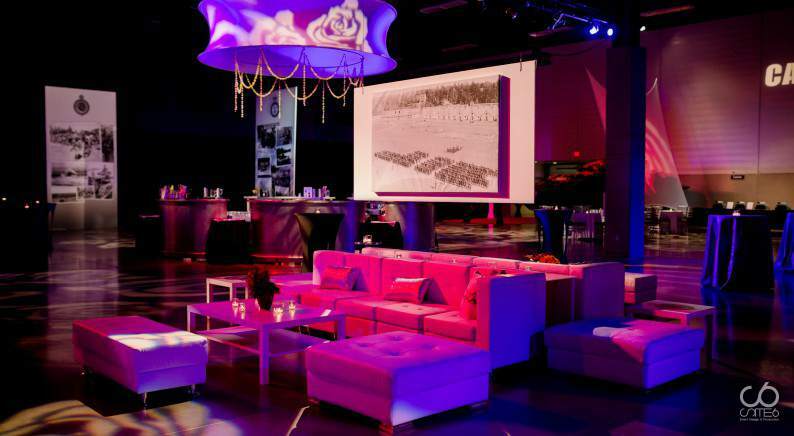 During the formal dinner we transformed the reception area by completely changing the lighting atmosphere from nostalgic and historical to vibrant and joyful with pink and purple hues and defined patterns. 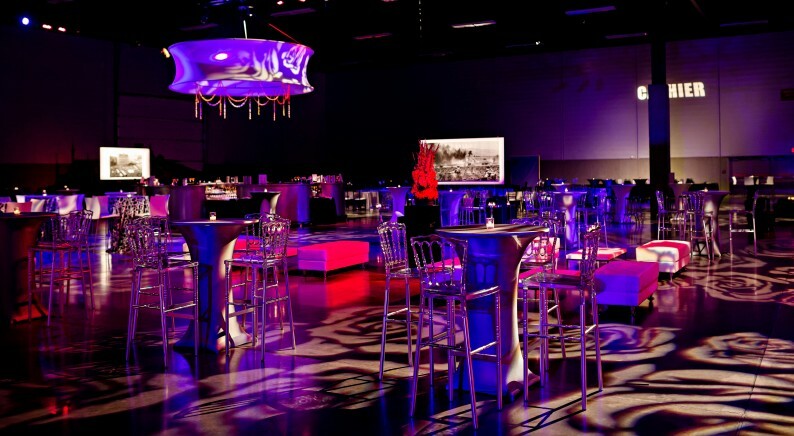 After the formal dinner, the overhead doors opened for guests to walk into yet another experience surprised to see the reception room was now completely transformed with a dance floor and stage revealed with another band playing music from all eras prompting people to instantly hit the dance floor. 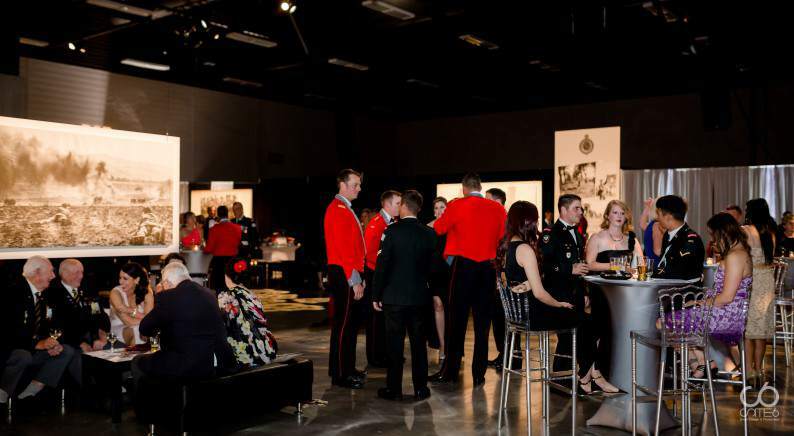 Urban Metropolis further transitioned the evening into a fun party with guests dancing all night to complete the celebration of PPCLI’s “Century of Service to Canada”.